Last year, my youngest daughter and I were rereading our books by Dr. Seuss and rewatching our animated Dr. Seuss specials on DVD. 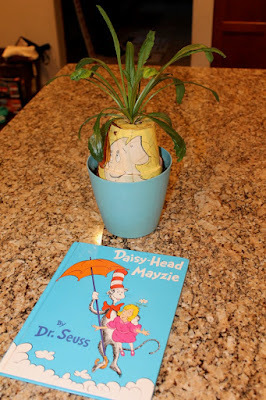 My daughter really enjoyed, Daisy-Head Mayzie, a story about a girl and a mysterious daisy that sprouts from the top of her head. 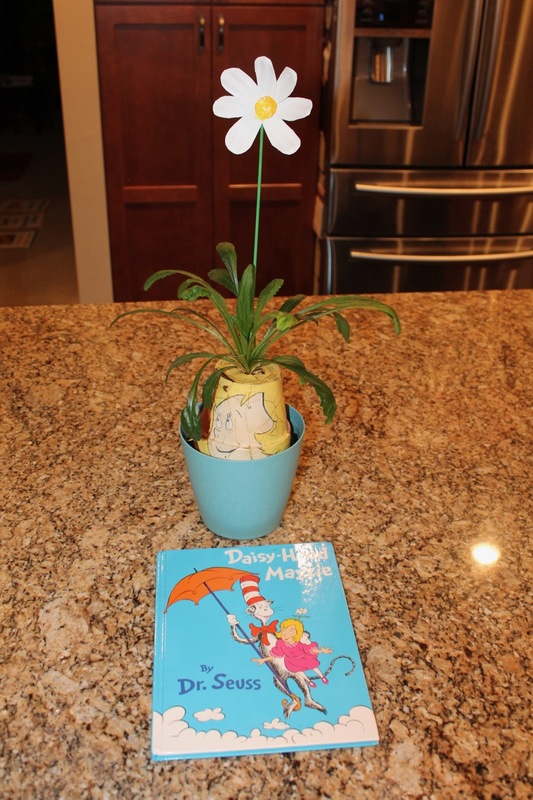 Daisy-Head Mayzie was published in 1994 after Dr. Seuss's death. The manuscript of the story was discovered by his wife, Audrey Geisel, while she was "sorting through her late-husband's papers." (Washington Post). 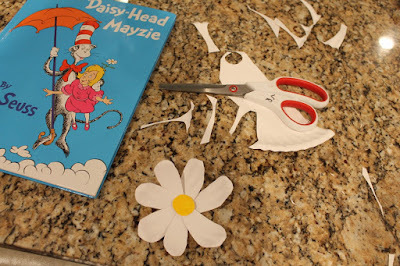 I tried to imagine a way to bring this book to life for my daughter after she spent the day singing, "Daisy-Head. Daisy-Head. DAISY-HEAD MAYZIE!" which she learned from the animated special created by Hanna-Barbera that was released around the same time as the book. 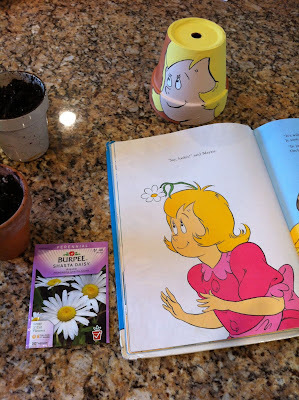 I reread Daisy-Head Mayzie and had an idea for an activity when I read the words of Principal Grumm, "It says here...it says, daisies grow on land. They grow between rocks. They grow also in sand. 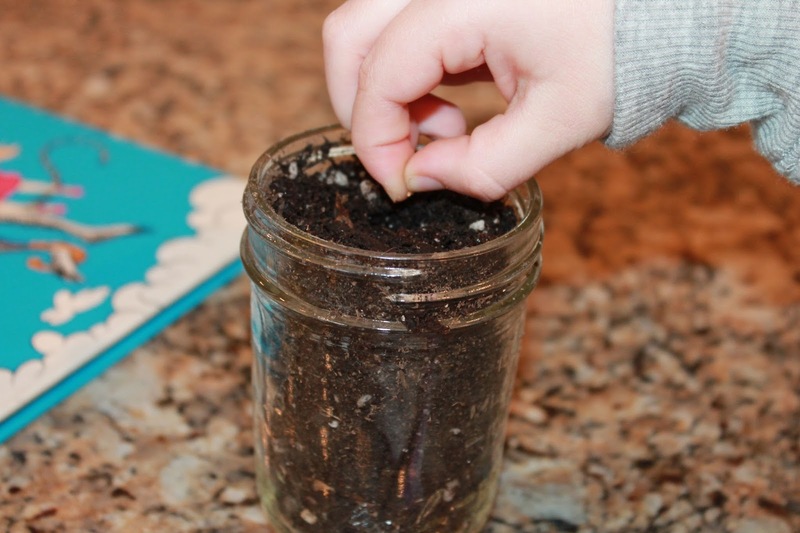 It mentions right here they can grow in a pot. But mention the head of a girl, it does not!" 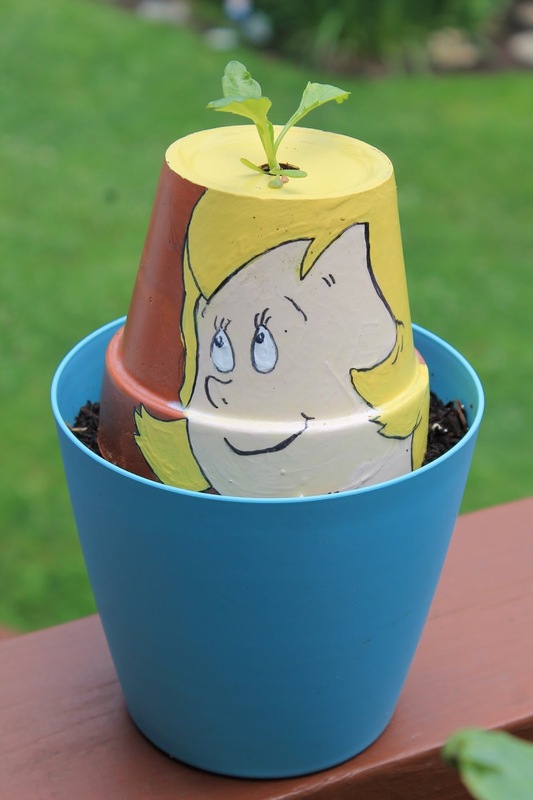 I thought, Maybe we could grow a daisy in a pot. A pot that looked like Mayzie! 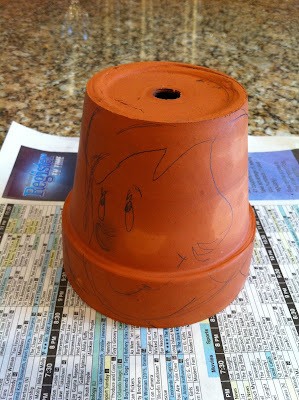 I sketched Daisy's face on the pot in pencil. 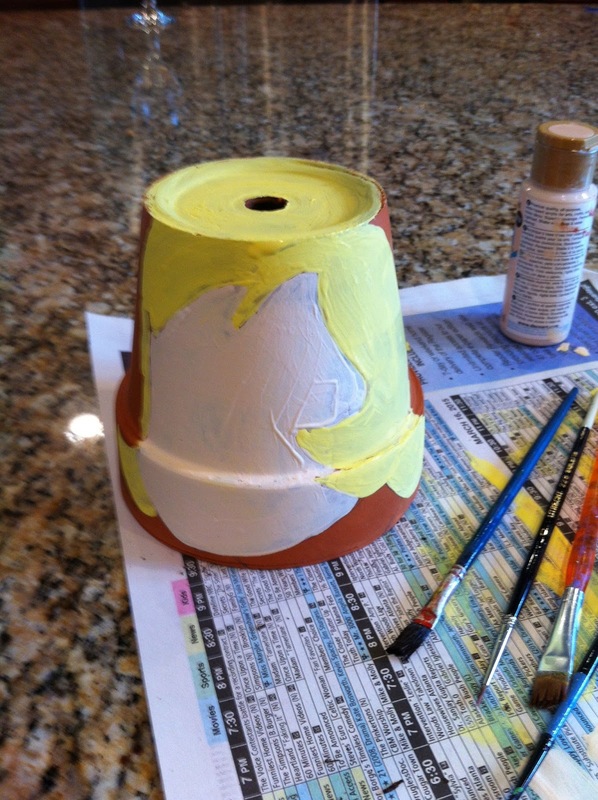 Then, I painted with acrylic paint. I used one of the illustrations from the book as a guide. Somehow, we had a pack of daisy seeds in our garage. (It must have been fate!) It stated on the package that it would be 365 days until the daisy would bloom. That would be perfect! By March 2, 2018 we would have a Daisy-Head Mayzie! Right? 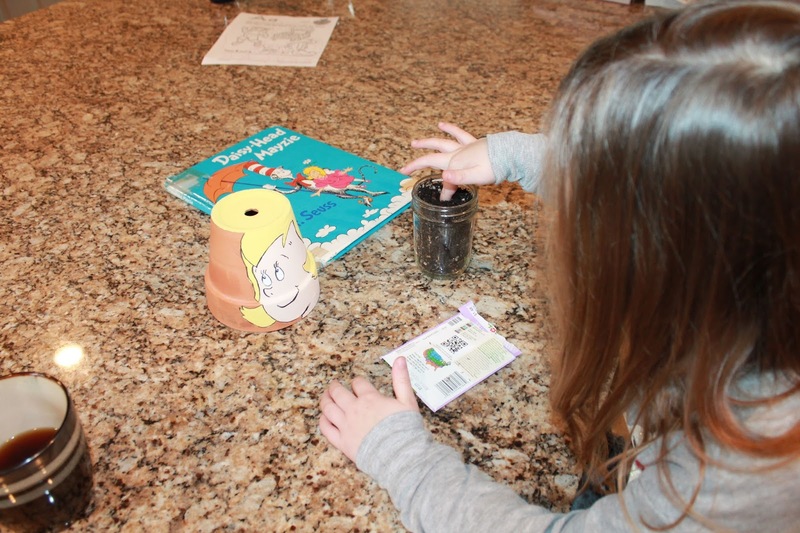 The pot was painted and the seeds were ready to be planted. I just needed my little helper. She planted seeds in a few containers just to make sure there would be at least one that would sprout. After I thought it over, the Daisy-Head Mayzie pot could not sit on the container with the dirt. The seed would probably benefit from sunlight. (Duh!) 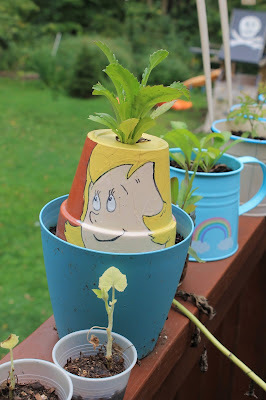 Therefore, I set the Daisy-Head pot to the side until we got our sprout. Thankfully, we had multiple sprouts. Needing only one, I transplanted one into this pot. 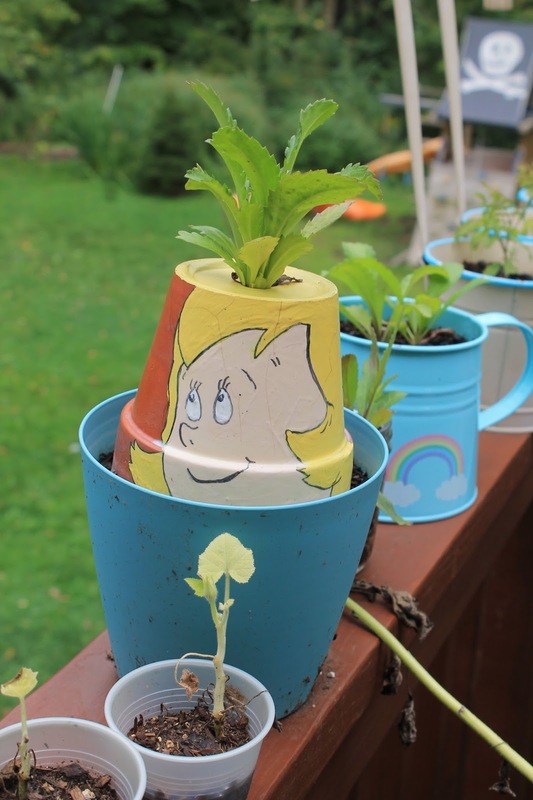 There is dirt inside the Daisy-Head Mayzie pot and the blue pot below. 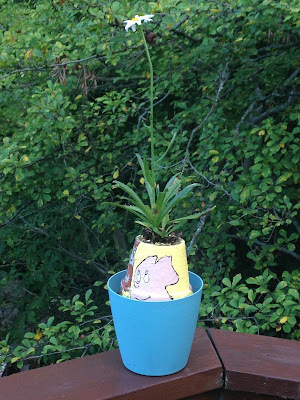 Our daisy was growing well in August 2017. At this point I started to think about the upcoming winter. Would the daisy continue to grow inside? 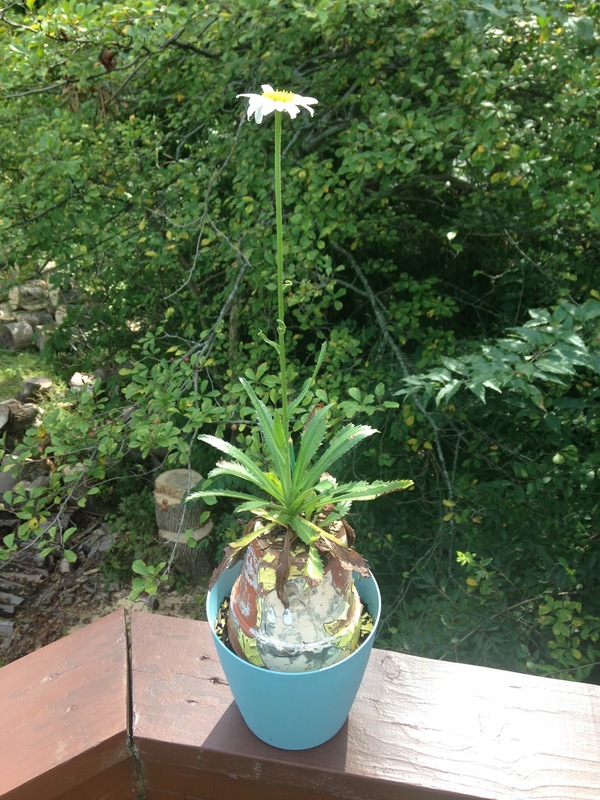 Well, I brought the daisy inside and I have to admit that I neglected it a little, but it continued to grow. Here is the daisy at the end of February 2018. 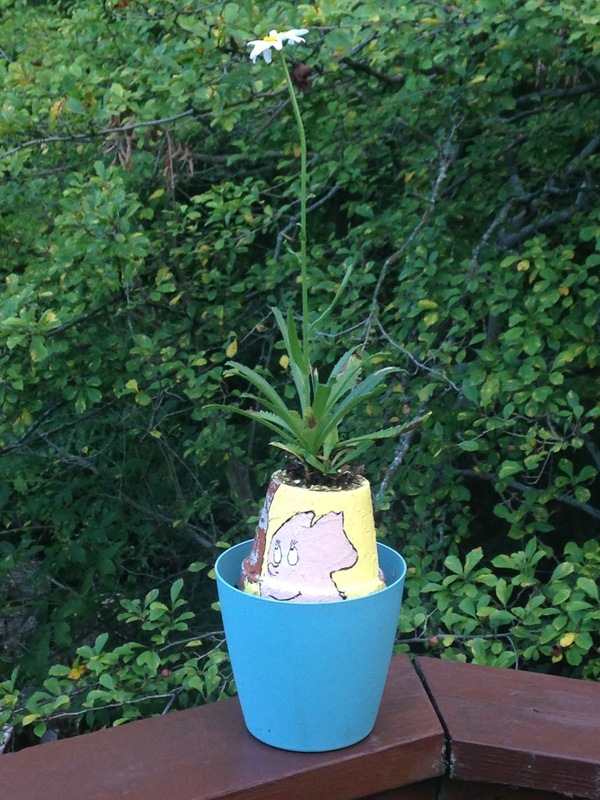 No daisy flower but an impressive plant was growing out of Daisy's head. I had one more idea! I cut petals out of a paper-plate and painted a yellow circle for the center. 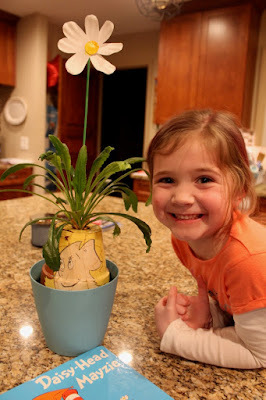 Then, I glued the flower to a wooden skewer that I had painted green. She was pretty excited. So, we read the book again and watched the show! 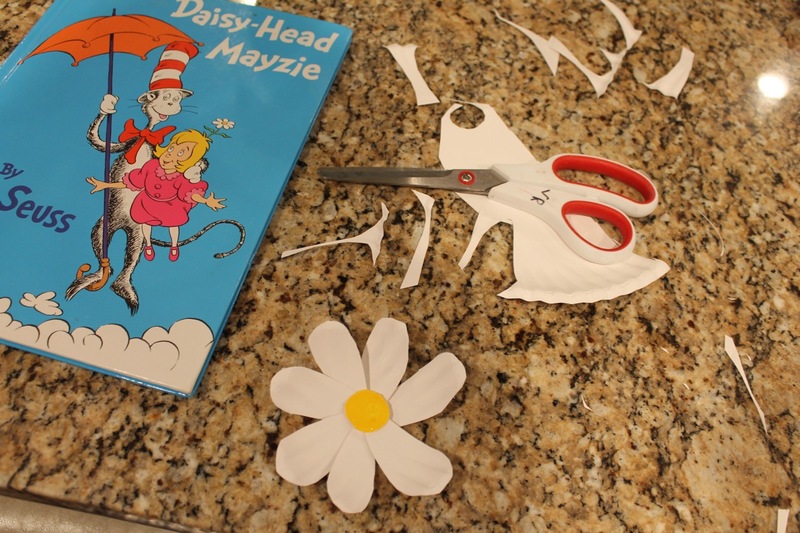 This is not a daisy made of a paper plate. It is a real daisy flower! 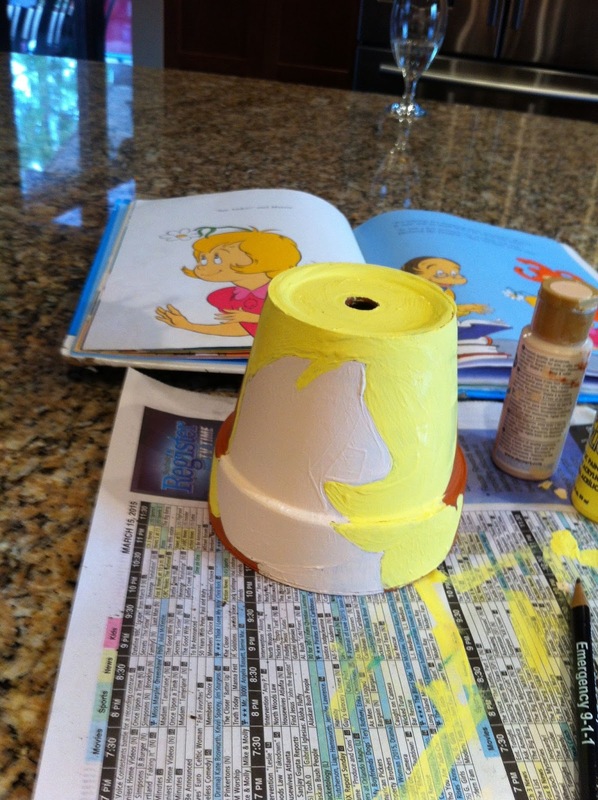 I added some new paint to make Daisy-Head Mayzie look as good as new! 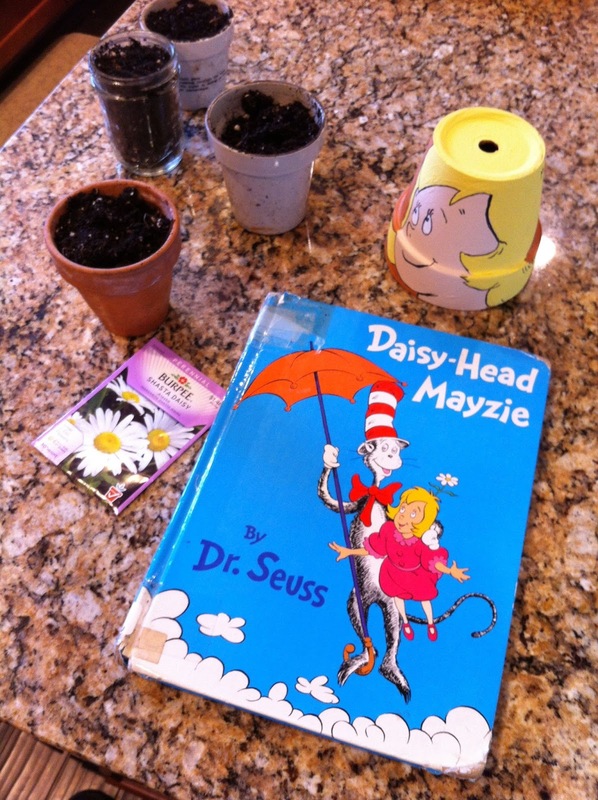 You can grow your own, Daisy-Head Mayzie!